Problemas contextuales en la traducción técnica. Las personas que intentamos llevar nuestros proyectos a la práctica -en estos tiempos bautizadas como “emprendedoras”- entre las que se incluye un elevado número de compañeros de colectivo, léase traductores autónomos, a veces nos juntamos para apoyarnos o, como mínimo, darnos ánimos para continuar con una labor en muchas ocasiones solitaria, incomprendida y complicada. De esa comprensión mutua han surgido las dos entradas que han aparecido recientemente en el blog de 4visions (http://4visionsmanager.com/es/) sobre la traducción técnica. Se trataba de dar visibilidad a los problemas de traducción con los que puede encontrarse un traductor técnico en su quehacer diario para, desde aquí (proTECT project), apoyarle, dando visibilidad a su labor, ayudándole con formación específica o, si más no, acercándole información que pueda ser de interés para su autodidactismo y generando una comunidad de traductores y especialistas en temáticas técnicas que puedan resolver sus dudas sobre los contenidos que traduce. First of all, please let me introduce myself. That way you may understand the reason behind this post a little better. My name is Amaia Gómez. I graduated from University College Dublin School of Architecture in 1998. I worked as an in-house architect in several countries until 2006. That year I went back to university to study for a BA in Translation and Interpretation. Since 2007 I have been working full-time as a freelance technical translator. 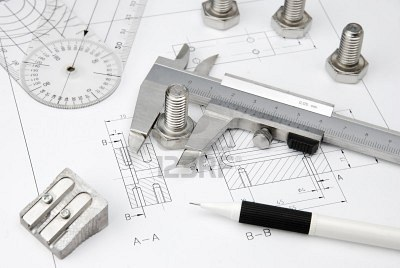 I specialised in architectural and engineering translation. Before going back to university, I chose to translate only subjects that I knew well, I did not consider them specialised fields, I just thought one should translate what one knows. I must confess I felt a little bit disappointed they had not taken in consideration translations in the fields I ‘mastered’ (architecture, engineering, civil works, etc). Subsequently I have realised that specialised translation is not a label that should only be applied to three or four subjects. Actually, every field of knowledge or human activity should be treated as a specialisation and, in order to translate properly, we should have in-depth knowledge of the subject. To me, that represents the core of this post. We should not only know the jargon used in a subject matter but also its history and future development, its value within a certain linguistic community and many more factors that make every single project unique. In any event, it is true that (Spanish) translation faculties and associations (in Spain we have over 17 different associations!) concentrate only on three or four subjects when they deal with specialised translation. Usually, they are classified as: legal/finance, medical, literary and scientific/technical. I am not mentioning localisation or audiovisual translation because I consider them technological specialisations and not specialisations in subject matter. However, if we focus on technical translation, what surprised me most was that this specialisation gave rise almost exclusively to translation of electrical appliance manuals and ICTs, and it did not deal with all subject matters related to scientific knowledge: maths, physics, chemistry and applied sciences. Clearly, those who choose a more specialised focus within these disciplines are probably already keen on them, they are not frightened by these disciplines and they have already received some training. For the rest of you, let me say that the key lies, as in any other specialisation, in motivation. Furthermore, keep in mind that applied science opens a very wide range of possibilities. Also, they should be able to acquire general knowledge in a field in which they have not been previously trained simply because a conscious choice has been made based on personal tendencies. As with other circumstances, there is a part of this job which is undoubtedly individual and may involve reading books, watching documentaries, surfing the internet and whatever else could be useful in consolidating the jargon, technical terms and regular expressions in the sector. However, we could all agree that scientific and technical translators should be able to count on resources aside from their own when training in these fields. I will expand on this need with some examples. First of all, I believe that in specialised language it is useful to make a distinction between “terminology” and “trade jargon”. If you allow me to use mathematical language, “terminology” would represent a subset within the set of “trade jargon” because there is vocabulary in the language used by a certain discipline that we would not classify as unique. Nevertheless, this vocabulary is used in a special way in the context. For example, in architecture I would consider “exposed concrete” field-specific terminology because it is the name of a kind of concrete with a specific consistency and quality in the surface finishing that allows it to be left plain view without any further finishing, such as a layer of paint. Moreover, this example also helps to illustrate the problems posed by specific terminology which could go unnoticed due to the familiarity of the vocabulary it uses. I have, therefore, seen this term translated into Spanish as “hormigón expuesto” or “hormigón a la vista” and, even though the translation adequately communicates the idea of concrete that can be seen, in other words concrete that will not be covered by any further material, it does not explicitly express the properties that make this possible. This type of concrete has a specific consistency and it has been poured with special care into a certain formwork that enables a smooth finished surface, characteristics which are indeed inherent to the term “exposed concrete”, they are not accidental. To the eyes of the well versed reader, it is quite clear that there is a lack of understanding of the field on the part of the translator and somehow, maybe even the author, which could be considered unacceptable. In fact, the example of concrete, just because it appears not to be technical at all, serves as a perfect link to the following example, one related to sector jargon. Therefore, “tejado” may seem a perfect translation of “roof”, nevertheless, you will never hear a Spanish architect talking about a building’s ‘tejado’ because the word they use is ‘cubierta’ and, once again if the translator fails to use this equivalence in what is apparently such an easy translation it can call into question all the translator’s research, as exhaustive as it may have been. However, who would look up ‘roof’ in an English-Spanish dictionary or a specialised glossary given that it falls under the category of ‘basic vocabulary’? This need only emerge if the translator already has some knowledge regarding the matter and something rings a bell. Furthermore, regarding ‘rooms’, I would also like to point out the importance of understanding the context of the original text and the translated text, not simply the field. Just to clarify, the same way people in the UK and Ireland talk about the ‘ground floor’ while Americans call it the ‘first floor’ what Spanish people would call ‘planta baja’; in Germany, when people talk about a flat’s ‘zimmer’ they count all rooms in it, and if they say that a flat has three ‘zimmer’ they understand that it has two bedrooms and a living room, while in Spain a flat with three ‘zimmer’ is a dwelling with three bedrooms and a living room. At first glance, these differences can seem easier to overcome than differences between legal frameworks in different countries but, this should not be taken for granted! Back to what I was saying beforehand, one should know the context of the text in their hands, otherwise huge problems of understanding can arise, such as the following example illustrates: the translation of ‘PFC Viviendas Tuteladas’ for ‘Integrated Project Course on Sheltered Accommodation,’ when in reality the acronym PFC stands for ‘Proyecto Final de Carrera’ (‘Thesis Project’). In this case in particular the problem goes beyond an incorrect understanding of the acronym, this one is simple once you know the context, and the translator’s professional effort should be enough to solve this issue. Effort put into a project is something that will come up again in the conclusions. From these examples one can infer the importance of working with model texts, and similarly with context. This supports my previous claim of needing to be trained in a specific area so that we achieve the right skills to be critical with the sources used to find and validate the context. This, I consider the second main idea of this article. 2. – Pay attention to what you read. It is easy to identify ‘bending moment’ as specific terminology, but do not let other ‘easier’ terminology slip, such as translating ‘ceiling’ using ‘forjado’ instead of ‘techo’ if you are dealing with an EN>ES translation on building structures. In other words, do not simply search for obvious terminology, search as well for terms that might go unnoticed and, of course, the sector jargon. 3. – In order to achieve this, never forget the context: subject matter, country of origin of the text and country/culture of the target language. 4. – Be critical with sources. In the era of knowledge democratisation, critical analysis of information gathered is essential.